Nikwax today launched a grants programme to support environmental projects across the UK. The programme, which will see six grants totalling £3,000 being awarded every year, is designed to support small groups and organisations in their environmental ambitions. Over the past two years, Nikwax has supported several groups. An outstanding example is Tchad Solaire, an NGO which builds solar cookers to enable Sudanese refugees in Chad to use the sun to cook for their families. Nikwax has developed a special waterproofing product to protect the cookers and make them last longer. A small Nikwax investment, providing free technology and product, has helped literally tens of thousands of families. Another project closer to home is with a primary school in East Sussex. 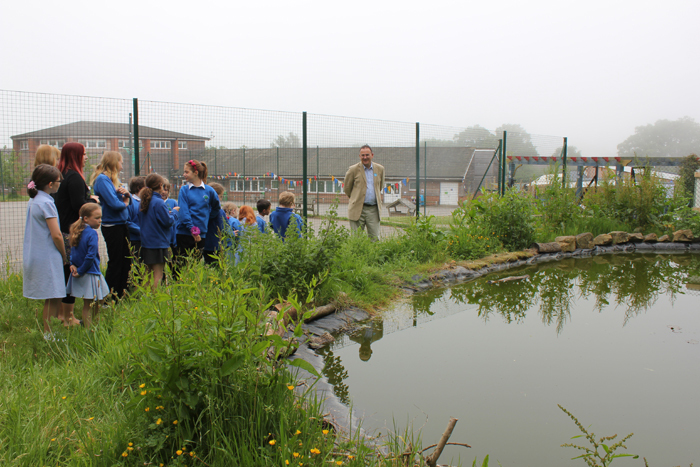 Nikwax helped to fund an outdoor classroom for the children to learn about the environment. The classroom doubles as a hide to watch and learn about local wildlife. More recently, Nikwax awarded a small grant to a local nursery school. The school in Five Ashes currently has no garden. They plan to use the money to create a sensory garden for the children to enjoy and learn about the outside world from an early age. Nikwax donated £500 and work on the garden will soon be underway. This new environmental grants programme will enable Nikwax to support more projects across the UK. Anyone can apply for a grant. Applicants will be asked about the environmental credentials of their proposed project. The grants panel will meet on a monthly basis.